I do write about this every year, but it's such a monumental task that once it's done I'm so proud of my hard work that I have to brag. So again here we have the annual spring porch clean. 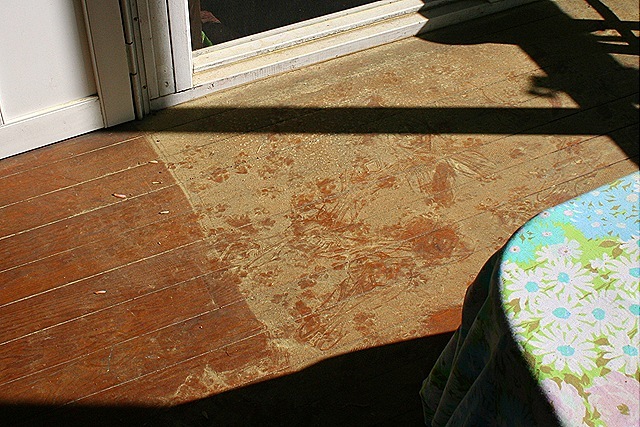 A screened porch is a beautiful thing, except it's also a dirty thing. Dirt, dust, water and pollen. Every bit of it floats and blows in through the window screens so it's an on going task to keep the room clean. Oh man, and this year the pollen! It falls like rain for about 3-4 weeks every spring. 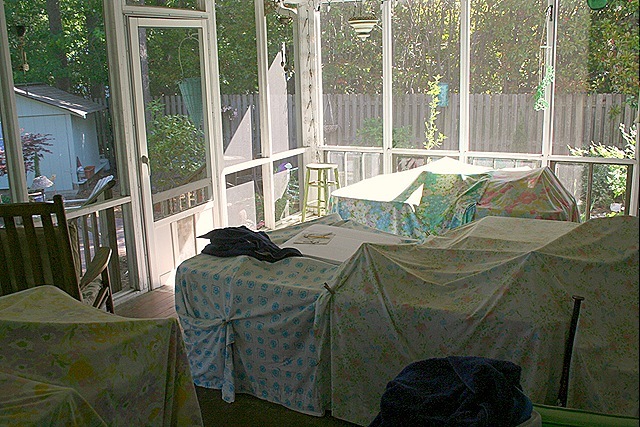 I've learned my lesson, so just when it begins I take everything on the porch, make piles and then cover it up with sheets. At least then I don't have to clean pollen off all the furniture and accessories. That just leaves all the dirt that has accumulated over the winter. Everything gets dragged off the porch and hosed down, then left to dry in the sun. This year MrPeachez and I were very good, we resealed the floors and restained the furniture. Absolutely back breaking work but now it is done and the porch is back in business. Well worth the work – it looks fabulous!! It looks like a fun place to hang out and enjoy the summer. Oh Wow, Your porch is fantastic! All of your hard work has paid off…BIG TIME! 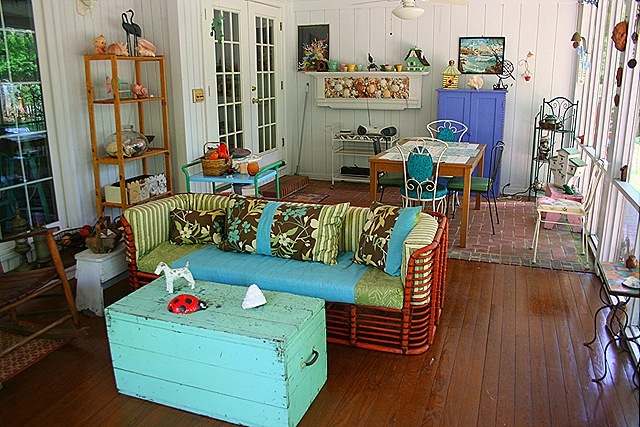 Love, love the rattan furniture and all of the fun vintage accessories. I would love a porch like this. I would do the work that needs to be done every spring if I could have a space like this all summer and fall. Thanks for the before and afters. You and your hubby did a wonderful job. Now… Enjoy it!! Magical! You were better people than us this year…we powerwashed and put it all back…no staining or painting (so lazy!). We did however wash all the windows this weekend…so now the sun actually shines inside. Your porch is wonderful…but you knew that. Your porch is fantastic. I think I’d be in there all day. You guys did great. Enjoy it now! That looks great – I especially love that aqua chest. Your porch is lovely! Definitely worth the effort. Enjoy your summer relaxing on it now! Definitely worth the effort! Covering everything is definitely worth it. You are a smart gal! Oh my goodness your couch and chairs are fan-freakin-tastic! 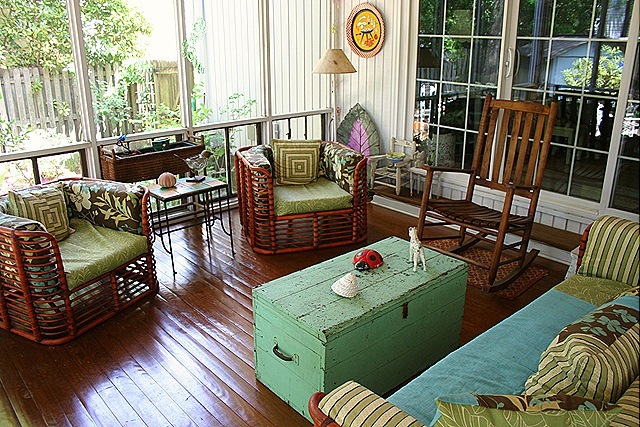 What a great porch … looks lovely! 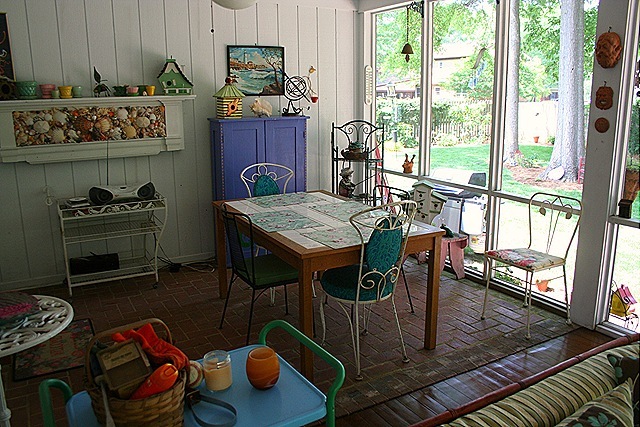 What a colorful and inviting porch, perfect for a little party or family gathering. If I had a porch, I’d want it to look just like that! What an AWESOME porch!!!!! Love all your fun aqua pieces! !